More like 80% of us. The top 15-20% is doing fine. The immigration laws were changed to allow much faster immigration from a much wider variety of countries in 1965. Women started to move into the workplace (other than as teachers and nurses) in the 1960s. While I regard both of these as favorable developments, is it really a surprise that the growth of men's wages might have slowed down in the face of that kind of competition? I would be careful about romanticizing that period. One reason that divorces were lower in the 60's than in subsequent decades is that divorces were a complicated and expensive legal fight. In 1970 California became the first state to have 'no fault divorce', before that you had to prove abuse or adultery to get a divorce. And in the 60's those perfect families weren't all they seemed to be. Domestic violence was largely ignored by law enforcement unless the victim require hospitalization and even then her abuser might get off with 'counseling'. I'm not romanticizing. Yes, I get it. Things weren't as good as the image projected. That doesn't mean they weren't better in at least some ways. I addressed this earlier (I think in this thread?... maybe another). The 80-99.9%ile are certainly doing better than those below, but only the 99.9+%ile has exceeded per capita GDP gains (and them by a lot!). We had much higher unskilled immigration in the late 1800s and early 1900s without a negative effect on wages. Any increase in the workforce merely increases the size of the economy (more production and more consumption, more supply and more demand), there is nothing in it that would depress wages. I did that. Spent a summer in Europe. Then came home and shared an old house with four other working people. But then we bought a house for $20,000. Not a dream house--small, no garage, one bathroom, dirt driveway, and a long commute to work--but it was a decent house. That was with two people working full time and no kids. One car that we shared, no frills, second hand furniture, home cooked meals all the time. The boomers had it good for a while but we also had a terrible recession in the 1970s and we had more troubles along the way. Most of us were for sharing and helping and many of us still are. Then there are those (of any generation) who have got theirs and resent anyone else who has anything and don't want a safety net for those who are less fortunate. I don't know what it's going to take for people to care about others again. 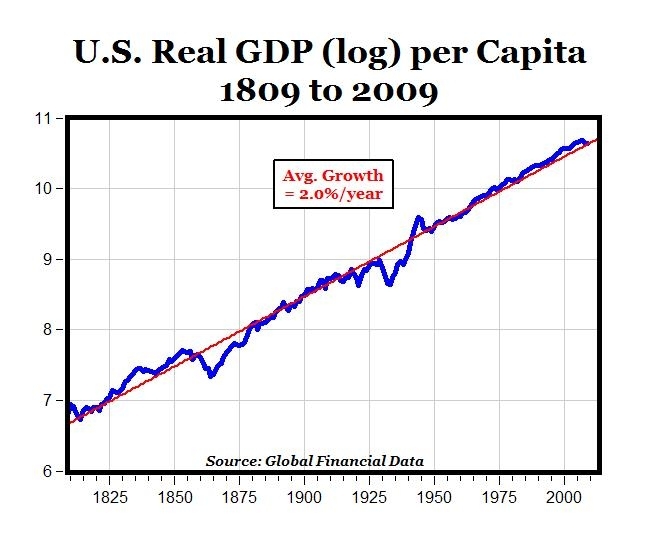 The only reason the US economically has seemed to "decline" is because it was inevitable that other countries gained strength. Same thing with the UK 150 years ago, and so on. Someday the Chinese will be lamenting the same thing. And remember in the 80's when Japan was supposed to be kicking our butts? Look what happened to that. BTW that report in the OP was a report of the president. Of course it's going to paint things pretty rosy. Certainly true about Japan, though it peaked later. The US may have gradually declined, but Japan fell faster and further. You can see it manifest in many ways. Young people not wanting to have children. The term "shut-in" in most countries means usually elderly often disabled. But in Japan, it could apply to young able bodied. As far as the President at the time, wanting to be adulated for Medicare, he was reviled for his unending support for the war. Nope. No signs of a decline yet. They only thing that has changed is a big shift of wealth from the middle class to the uber rich. Just wish we had the prices the baby boomers had in home pricing.. much less inflation pricing..
My first house, bought in 1972, cost $17,000. It was a nice little house, too. My first husband, a professional, was just out of college in 67, and his first job paid $8000. a year. He retired from that job after 44 years. A few years later, in 72, we bought a new, 4 bedroom house on a lovely lot, for $34,000. Plenty of men with blue collar jobs were the sole breadwinners then, and raised big families on their income. Yea listening to stories my parents and grandparents had.. Seems my grandparents had it easy compare to what we have now. Amazing how you can inflate the dollar with fake excuses. Now days, you need the entire family to put out or they get out approach. Just wish their was a blockade against inflation, because its redonkelous.